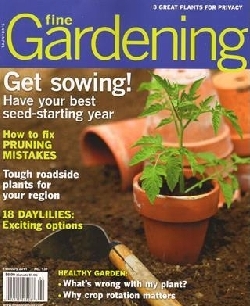 Gardening magazines arrive in your mailbox chuck full of inspiration, ideas, tools, gadgets, and information. There are all kinds of magazines to choose from. Here are some of our favorites. We hope you enjoy them, too! How well do your veggies and herbs grow in your garden? They might grow even better and taste more delicious if you follow the advice in Organic Gardening. 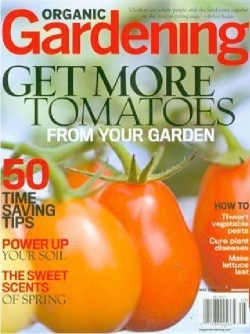 This magazine helps you grow bigger, better, more healthy vegetables and flowers all without using chemicals. Each issue includes landscaping ideas, craft projects, equipment, and food preservation and preparation articles. Find out more about Organic Gardening (6 issues/1 year) . Fine Gardening is dedicated to gardeners of all levels of experience, featuring essential gardening tips and innovative design ideas to inspire you, help you to develop unique plans, and motivate you to try new things. Each issue features a column dedicated to getting rid of everything that harms your plants. 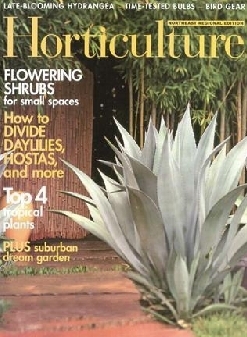 Articles from landscape designers and horticulturists cover a variety of topics, bringing you the information you need to be a better gardener and get magnificent results from recipes of soils offering the highest fertility to features on how to grow specific plants. Find out more about Fine Gardening (6 issues/1 year) . Herbs + Tomatoes = YUM! 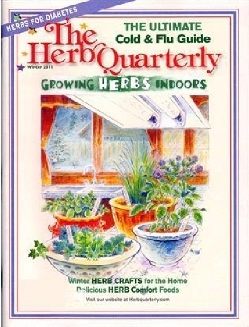 Founded in 1978, The Herb Quarterly brings readers the joy of herbs in each season. Every issue introduces readers to new herbs, explains fascinating herbal lore, provides tips on hard-to-grow varieties and medicinals, and showcases gardens with herbs. 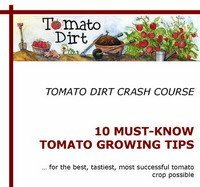 You can also find out what herbs work well as companion plants for tomatoes. 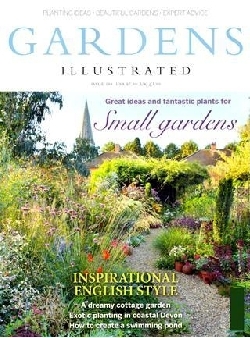 Gardens Illustrated is an international gardening magazine featuring the best gardens, plants, and designers from around the world. It is published in the U.K. The images are gorgeous. Every issue offers relevant, authoritative articles contributed by notable journalists, accompanied by beautiful and glossy photography, valuable information, and expert insight. Every region of the country has different gardening needs, from the arid dessert of Arizona to the swampy everglades of Florida. Horticulture Magazine takes you inside the best gardens and shows you how to improve your garden, regardless of where you live. This magazine is a terrific way to discover new gardening methods that will work for you and learn about the latest gardening techniques. Learn more about Horticulture (8 Issues/1 Year) . Ah, the country garden! It's not just a dream. Country Gardens shows you how to plant and grow idyllic gardens of all kinds. This magazine has beautiful color photos, easy-to-follow planting diagrams, and helpful how-tos so you can get healthy, gorgeous results. Inspiring and practical! 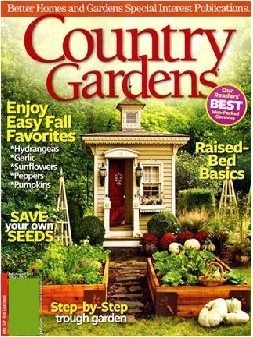 Get more information about Country Gardens (4 Issues/1 Year) .